With so many voices, opinions and daily distractions out there it’s important to know the facts. Just ten years ago, in 2006, in the United States alone, 2.6 million people abused prescription drugs for the first time. In that same year 3.3% of 12 – to 17 year-olds and 6% of 17 – to 25 year-olds had abused prescription drugs on average in one month. Every day in the US 2,500 youths aged 12 to 17 abuses a prescription pain reliever for the first time. The average age for first-time users with basic over-the-counter drugs such as cough syrup is now 12 to 13. The numbers have grown by leaps and bounds in ten years. Fact is that while you’re a teen (and even into your early 20’s) you’re still growing and developing during these years in particular and that can have a lasting impact. Another fact to consider is the brain is much more vulnerable to addiction during these years. Ninety-percent of Americans with a substance abuse problem starting smoking, drinking or using other drugs before age 18. And the scariest fact of all: Fifty-two million people over the age of 12 have used prescription drugs non-medically in their lifetime. 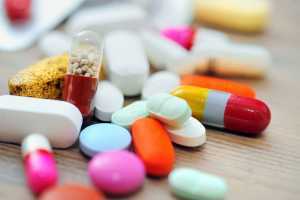 Prescription drugs are the third most commonly abused category of drugs trailing only alcohol and marijuana and ahead of cocaine, heroin, and methamphetamine. More often than not prescription drugs can become addictive, especially when used in a manner inconsistent with their labeling as described by a doctor. This common practice is usually carried out by someone other than the patient for whom they were prescribed or when taken in a manner or dosage other than prescribed. Overall, an estimated 52 million people have abused prescription drugs, representing nearly 20% of the U.S. population. What are the most commonly abused prescription drugs? They fall into three categories: Painkillers, Depressants and Stimulants. When it comes to drug use individual reactions and experiences vary so it’s important to understand the usual risks and effects, both short and long term. Knowledge and awareness can be the keys to making your own wise decisions. Information provided isn’t to prevent anyone from seeking medical treatment under the advice and care of their doctor. A variety of substances offer potential medicinal value, the exact reason for having been prescribed, but that doesn’t negate their risks, especially when abused. Prescription drug abuse, while most prevalent in the U.S., is a problem in many areas around the world including Europe, Southern Africa and South Asia. In the United States alone it’s been reported that more than 15 million people abuse prescription drugs, more than the combined number who reported abusing cocaine, hallucinogens, inhalants and heroin. This continued drug abuse causes the largest percentage of deaths from drug overdosing, with opioid painkillers the most commonly found drug, accounting for a majority of these deaths. When prescribed for you by a doctor, these medications can be incredibly beneficial. But when taken without a prescription or not as directed they can become dangerous, extremely addictive and ingested without caution leading to an overdose. At too high a dose, or when combined with alcohol or other drugs, many prescription drugs can also become deadly. Prescription drugs are medications legitimately prescribed by doctors to treat a variety of health problems. This is a good thing and in many cases a requirement in managing pain. Some people assume that since they’re legal when prescribed by a doctor they must be safer than illegal drugs. The truth is these drugs require a prescription for a reason. When abused, they can be just as dangerous and even deadly. In fact, in recent years the abuse of prescription painkillers has resulted in more deaths than cocaine and heroin combined. By survey, almost 50% of teens believe that prescription drugs are much safer than illegal street drugs. In fact, 65% to 75% say that home medicine cabinets are their source of drugs. What’s really startling is the cause of deaths from prescription drugs combined is greater than all illicit street drugs. Depressants, opioids and antidepressants are responsible for more overdose deaths than cocaine, heroin, methamphetamine and amphetamines. In the United States, the majority of deaths used to take place in inner cities in African-American and Hispanic neighborhoods. That’s all changed and while still a major problem in urban America they have now been overtaken by white rural communities. The same trend can be seen in the rates of hospitalization for substance abuse and emergency hospitalization for overdoses. According to the Center for Disease Control every day over 1,000 are treated in emergency departments for misusing prescription opioids as reported in 2015.